I began Kosmo Foto in January 2012, but I only really started the blog in earnest in November of that year , thanks to having some free time between contracts in my day job. At first, I’d been doing reblogs of interesting film photos I’d found on Flickr from other users, or talking briefly about some of my own pictures. It wasn’t until the November of that year that the blog started becoming more like the blog you can read today – a mix of camera and film reviews, travel posts, photographic history and photo tips. I became obsessed with analogue photography back in the year 2000. But I didn’t start this blog until more than a decade later. That allowed me a decade of shooting on many different films and cameras, making a tonne of mistakes and learning lots of helpful tricks along the way. And it also coincided with the death of film as the predominant medium for photography, and the rise of the digital SLR and the photo-taking smartphone. It’s a blog that’s had to be done around a full-time job, which is why it sometimes gets updated in fits and starts. But this week it passed its first big milestone – 500,000 views, and more than 250,000 readers over the last four years. Find a subject you love. If you want to make a successful blog, it’s going to have to resonate. The only thing worse than bad writing is bad acting. Blogs really sing when you can tell their creator loves what they’re writing about. Enthusiasm is infectious – and wanting, sometimes needing, to tell the world about what you’re into is a the best cure for laziness, procrastination and writer’s block I’ve yet found. My passion is film photography… yours might be World War II fighter planes, Japanese hip hop, Turkish street food recipes or the comedy genius of The Simpsons. Go and write about it. Infect others with your enthusiasm. Write often. I write for a living, so I get plenty of practice. If you have a job that doesn’t allow you to tap away in your quieter moments, then make time for it when you’re not working, just like you do for friends, sessions at the gym or cooking a meal. Writing is like learning a language, cooking a dish til the recipe becomes second nature, perfecting a musical instrument, or becoming an expert sniper at Call of Duty… it takes time. Think of author Malcolm Gladwell’s rule of the 10,000 hours – that’s how long it takes to truly master something. Every hour that you sit down and write is another step along the way to becoming a better writer. So find an hour today, and another tomorrow, and another the day after that. Don’t steal. Don’t take short cuts with other people’s intellectual property – either their own writing or their photographs. If you’re using someone’s else’s writing in a piece, make it known, and link back to them. If you’re using pics, make sure you have permission – sometimes people will allow you to use their images if you ask nicely. Blogging’s not going to make you rich. Not in a year. And probably not in five. Or 10. Be honest – how many articles on the sites that brag about making $300,000 a month live on in your mind? Exactly. Blogging is no get-rich quick scheme, unless you are consistently getting hundreds of thousands of readers a day. The chances of you doing that are astronomical. Unless you are writing a blog cynically designed to cash in on search engine terms, most of which are related to making money online. Concentrate on building an audience by having something to say. If you can do that, ways to support yourself through blogging will start to happen, and sometimes in ways you couldn’t have predicted. Be flexible. Be useful. I follow all sorts of useful blogs, and not just in the realm of analogue photography. For me, blogs are worth their weight in gold when they offer something that goes beyond mere opinion. For instance, I don’t review cameras until I’ve put at least 10 or 12 films through them – get to know their foibles and how they handle taking pictures. I have some fairly strong opinions about the photography world – I don’t shoot digital, for instance but the blogosphere is full of rants and broadsides on either side. There’s no need for me to join in, and spoil the fun that digital photographers have with how they choose to capture the world around them. I’d hope, therefore, that anyone coming to the blog becuase they’re interested in a particular camera hasn’t wasted their time. Many readers will stumble onto your blog through searches – they’re more likely to stay if they feel like they’re getting something out of it, something they can’t find anywhere else. Mine your strengths, the personal insights that you bring. Read widely. Novelist Stephen King summed it up perfectly in his book ‘On Writing’ – if you’re too busy to read, you’re too busy to write. Blogs, no matter what they’re about, are the sum of their writer’s experience and way with words. Unless you’re a bona-fide genius, that doesn’t come fully-formed – it’s tweaked and constantly upgraded by the simple act of reading. It doesn’t matter what your blog is about – you should be reading as much as you can, both to bolster your expertise in the subject you’re writing about, and as a springboard for further ideas. And here’s the thing – read as much and as widely as you can. Great writing is great writing, whatever the subject. It doesn’t matter what your blog is about – inspiration and encouragement will come from every angle. Seek out great writing. 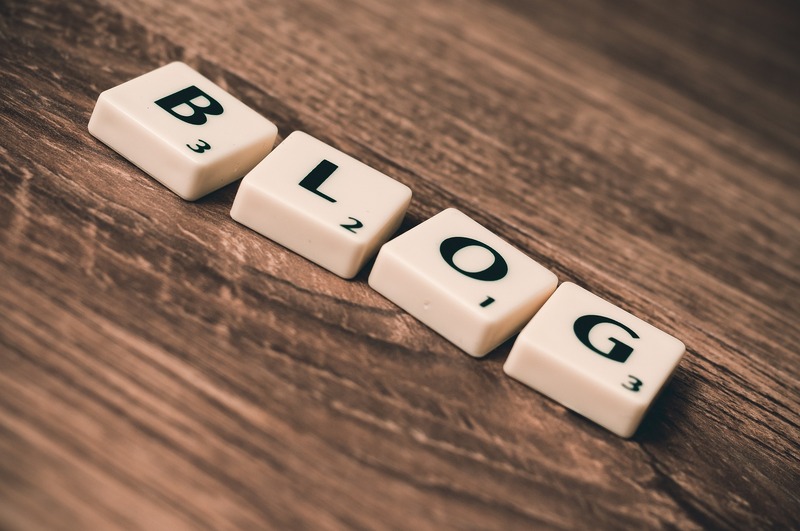 Follow blogs simply because you like their writing. Connect. People who like what you’re writing will let you know. Reply if you can – and look at what else they’re reading and enjoying. Take any constructive criticism on the chin, and soak up the praise when it comes. If someone’s gone to the effort of leaving a comment, then it doesn’t hurt to answer them back. Maintain that and you’ll add to your blog’s stickiness. When people feel like they’re part of a conversation, they’re more likely to return. If you want to build a blog audience that keeps returning, get to know the people who are coming back, liking your posts, leaving comments. Get a sense of what else they like – what other blogs they visit. It all helps give you a sense of where you fit in the blogosphere. So, far, I’ve written more than 160 posts on Kosmo Foto, a mix of camera reviews, travel posts, tips and analogue photography history. Here’s what’s proved top be the most popular so far. There are thousands of different film cameras out there, and many of them cost very little. But what to buy if you want to dip your toes into film photography. This post rounded up some of the best buys, including an old Soviet classic you can nab for as little as £5. It’s had nearly 30,000 views since it was published back in 2014. You don’t have to spend a fortune when you’re shooting film. This old Soviet SLR cost me £4 over a decade ago; it still works perfectly.this round-up of shots went through the roof after I posted it on Reddit’s r/photography section. Take a quick peek at my Flickr, and you’ll see how much I like shooting with expired film; the unpredictability really lends itself to experimentation, and shooting on a wide range of cameras (and I have more than 70). With the number of available films dwindling, it’s easy to forget just which ones are still available. This was a reminder of five great films you could still buy in 2014 – and I’m glad to say all five are still around in 2016. I also did a companion post in 2016, putting the spotlight on another five films. The camera reviews are some of the most popular posts on the blog, and I’ll be doing a lot more of them in 2017. This is the most popular of them. If you want to know what the 35mm film SLR to learn on is, and you’ve got more than £100 to spend – this is your answer. Two of those top five posts are round-ups. The internet sure does love a list. Like most blogs written in English, it’s no surprise that the most readers come from the United States, the United Kingdom, Canada, Germany and Australia. The biggest surprise? Denmark is at Number 10, possibly because of doing this post about shooting a vintage car rally on film. Mange tak! I’m going to start doing yearly reports for those interested in how Kosmo Foto is progressing, as I’m well aware how valuable practical experience can be when it comes to building a blog. If you have any questions – don’t hesitate to leave a comment, or email me via the Contact page. And finally – thanks for reading. Congratulations on reaching this milestone! I’ve appreciated your writing over the few years I’ve been following it. Thanks for putting in the effort. Thanks so much Jim. It’s partly down to your kind promotion via your blog… let me buy you a beer or two when you make it to London. Congratulations! 🙂 That’s a pretty big milestone. Also, thanks for all the reviews and the articles, they’re quite inspiring. I don’t have a question, but I would like to see you review a half-frame camera some day, something like Chaika or one of the Olympus Pen ones. Many thanks, Ante. Glad you enjoy the blog. Will definitely be looking at both int he Zorkipedia series I’ve just started….